Rome, 25 October (askanews) - Italy has offered "the maximum availability of political support, of economic collaboration and of educational collaboration for young people" in Ethiopia and Eritrea, to "accompany" the path of peace and stabilization initiated by the two countries of the Corno d Africa with the peace agreement signed last September. 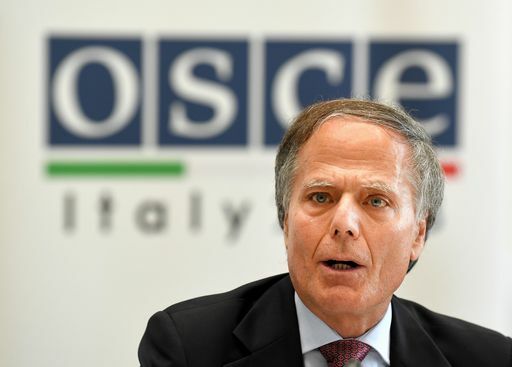 This was stated by Foreign Minister Enzo Moavero Milanesi, on the sidelines of the Italy-Africa Conference in progress at the Ministry of Foreign Affairs, adding that Ethiopia and Eritrea "are determined by their example to drive the situation in Somalia towards a more positive outcome". "We have given the maximum availability of political support, of economic collaboration, of formative collaboration for the younger generation, in the face of two countries that count many young people - said the minister - of a cooperation in investments, financial, infrastructures, of service, in commercial relations, in the construction of ports, able to operate in the world of globalized businesses at the highest level ". The minister remarked that during the work of the Conference we will talk about "this also with our industries and we count on the fact that they are seizing this great opportunity".